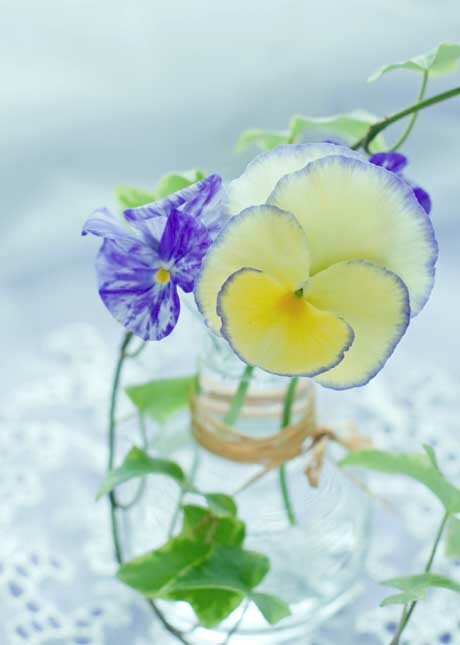 I love pansies. 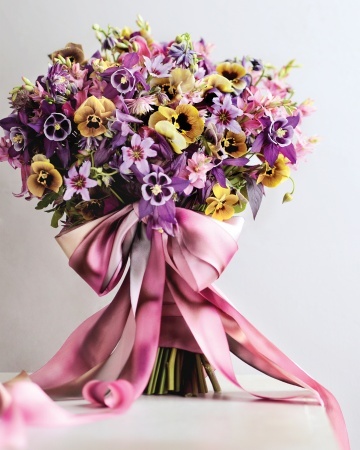 Not so much the bright colours, but the soft pinks, mauves, reds and maroons. There are some some yellow bicoloured ones that do look spectacular though in the winter garden. 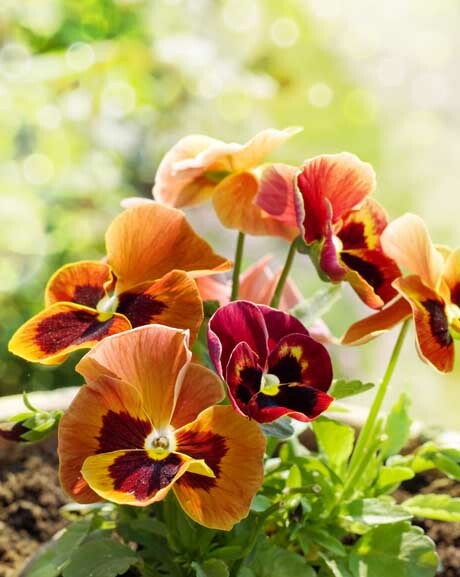 It’s a good time to sow pansy seeds for late autumn/winter colour. Sow seeds in trays and transplant when big enough. 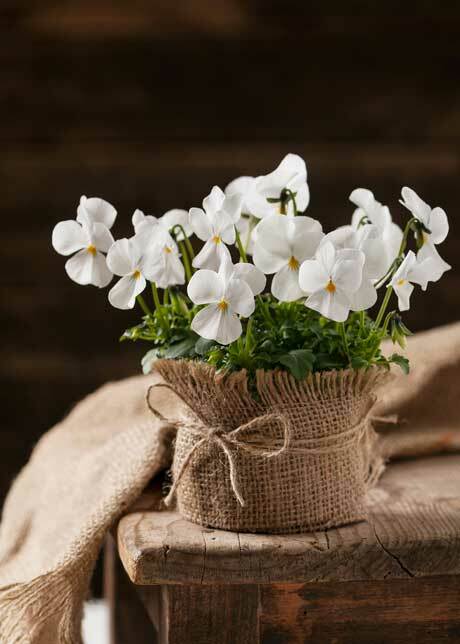 Plant in a partly shaded position in areas with warm winters and full sun in cold spots, in moist soil that has both compost and blood and bone dug in. 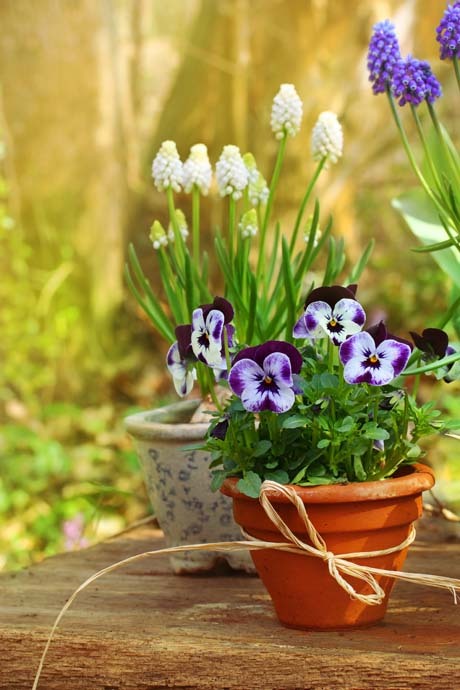 Before blooming, give plants a top dressing of four parts blood and bone and one part sulphate of potash. 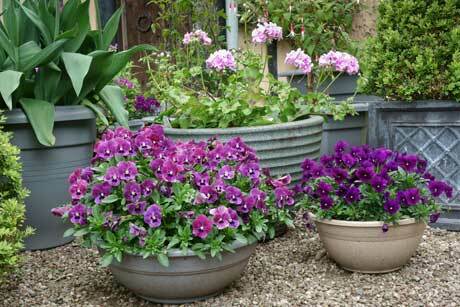 Head down to your local garden centre and pick up some potted colour for the winter months. 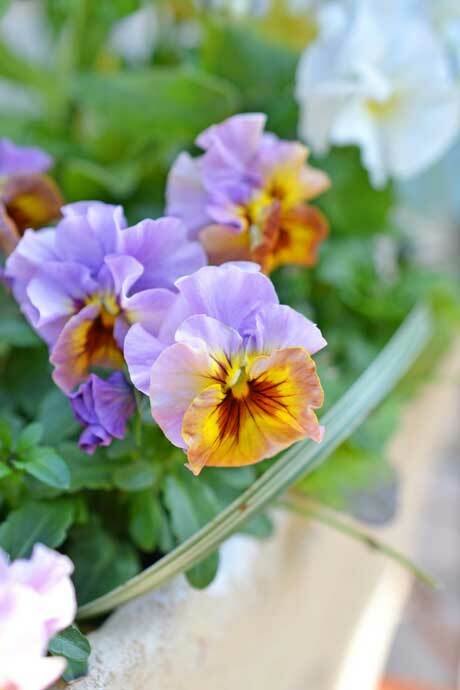 Pansies are my favourite, though you’ll find polyanthus, primulas and calendulas too. 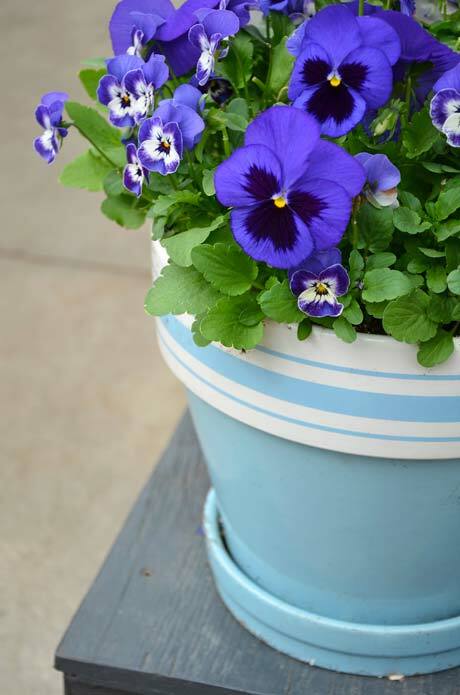 Pansies are a cheerful addition to the winter garden and make pretty posies for indoors. 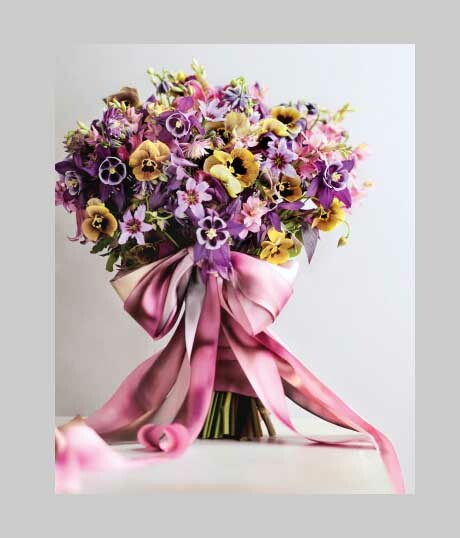 You’ll find them in all colours – from soft pastels to vibrant hues, such as reds, oranges and yellows. 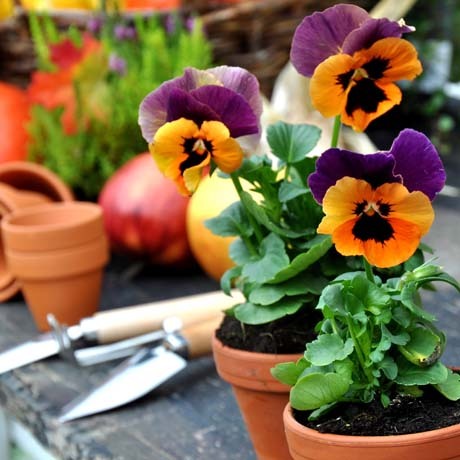 Plant seedlings or potted colour in moist, fertile soil in full sun or partial shade. 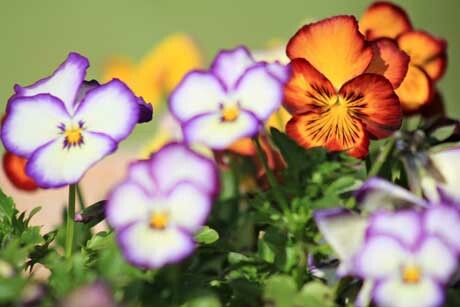 Pansies, polyanthus and primulas all like humus-rich soil, so dig in plenty of compost or leaf mould at planting time. 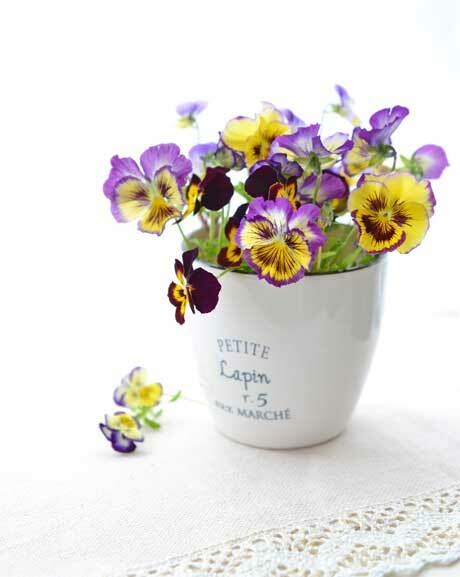 Pansies are terrific for brightening up dull winters. 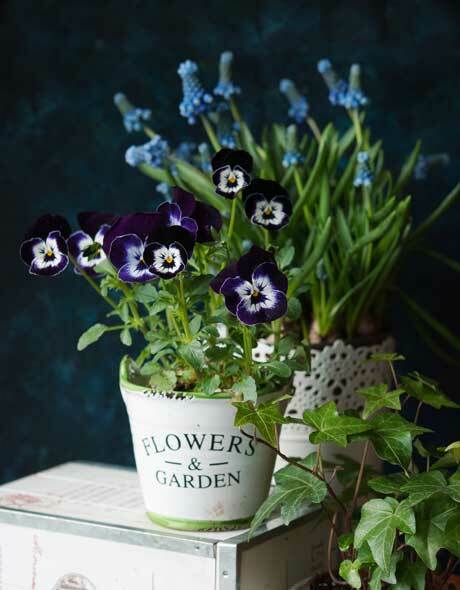 Plant seedlings in small pots to display indoors or pick flowers to make small posies. 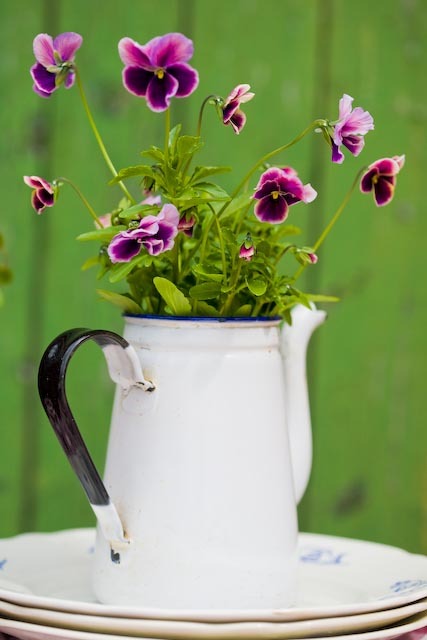 You’ll find plenty of seedlings or potted colour in garden centres now. 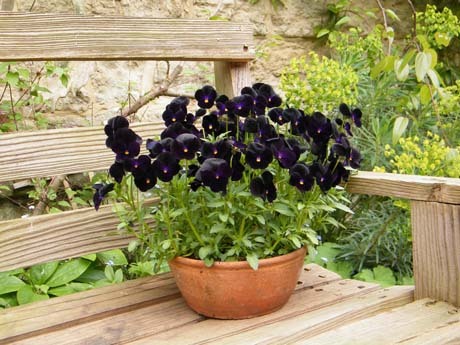 Plant in compost-enriched soil in a sunny spot. 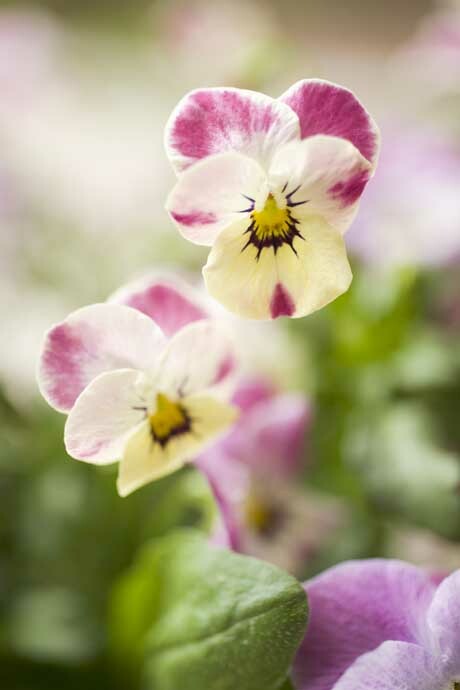 You can sow seeds too, but sow in trays for transplanting when big enough. 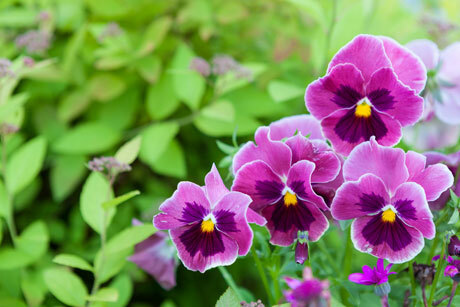 Deadhead plants regularly to keep them producing more blooms and feed once a fortnight with a balanced liquid fertiliser. 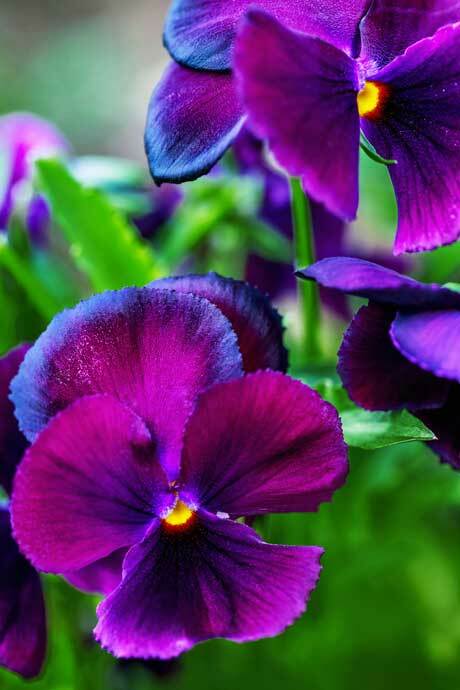 The humble pansy should never be overlooked for colour and quiet elegance in the garden. 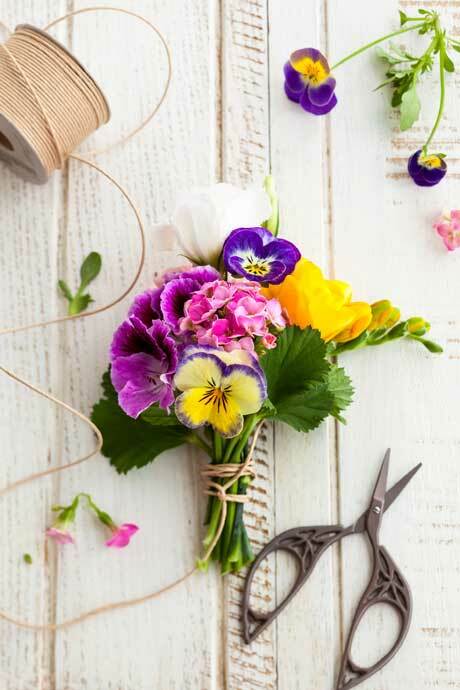 And although short-stemmed, they make excellent cut flowers for small posies or shorter stemmed bouquets. 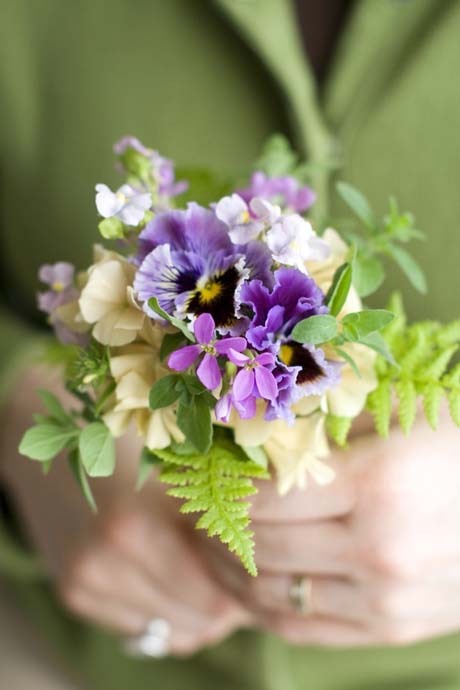 You can see what we mean with this gorgeous bouquet (top photo) with golden yellow pansies and purple columbine (aka granny’s bonnets) that features over at Martha Stewart. 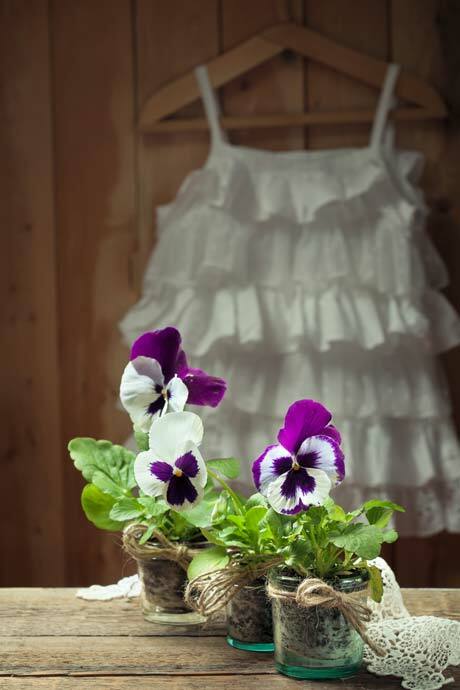 Or display your pansies in small vases or containers, even a salt cellar. 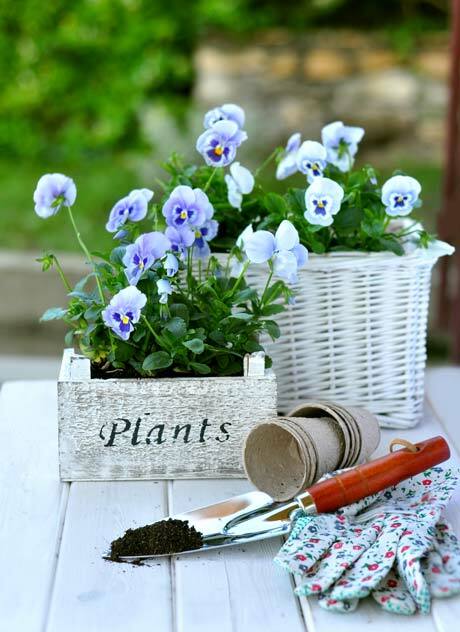 Buy seedlings from garden centres to plant straight out in the garden, or sow seeds in trays for transplanting later. 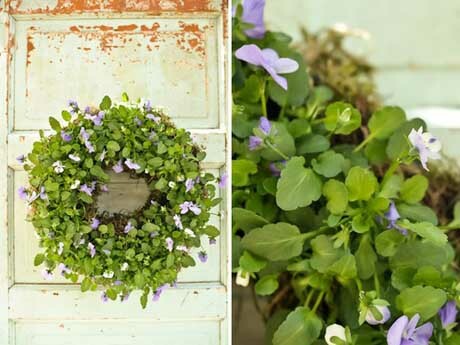 These cool-season plants come in many colours and grow in sun or light shade. Soil should be moist but free-draining with plenty of compost dug in. 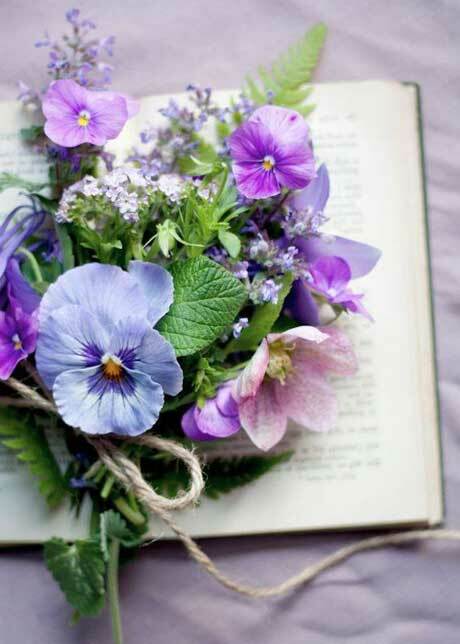 Deadhead the flowers regularly and your plants will continue to flower for several weeks. 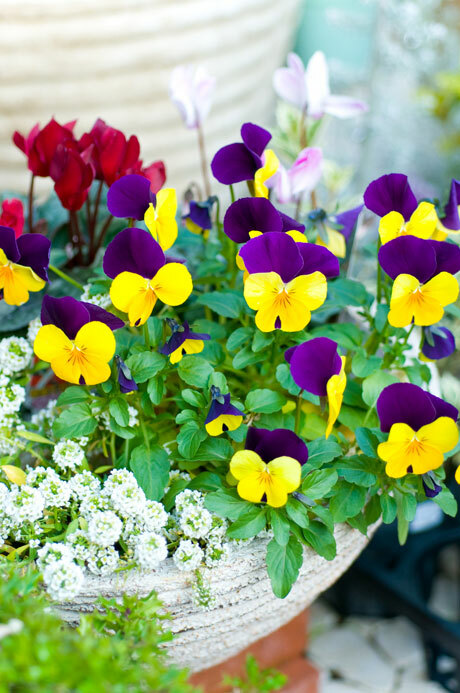 If you want colour in your garden come winter, then plant pansies now. 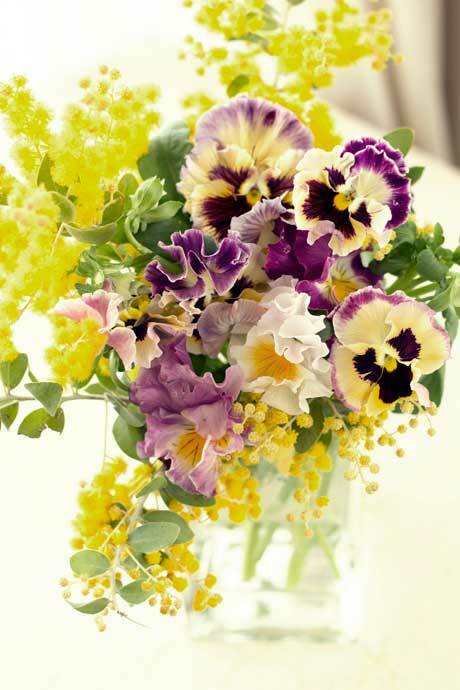 These colourful blooms show their cheerful faces even on the dullest of days. 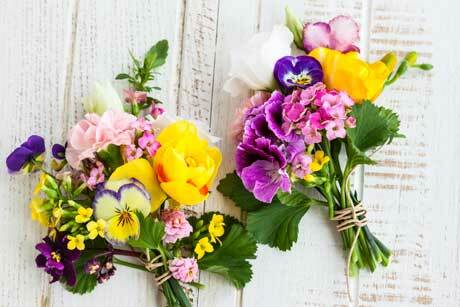 They may have short stems, but the flowers can still be picked for indoors. 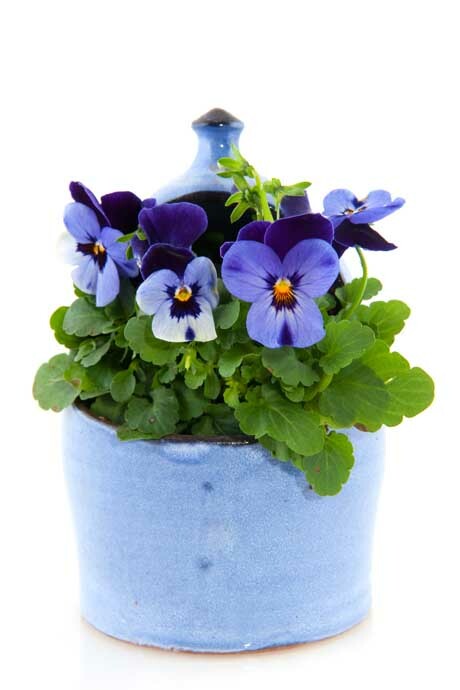 Or plant in small containers and bring the whole container inside as a centrepiece when entertaining. 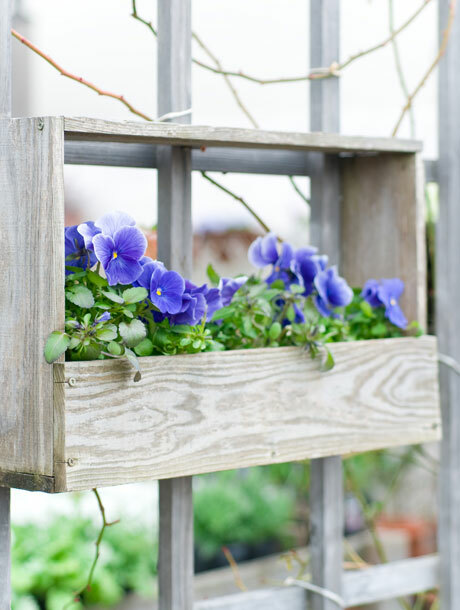 Sow seeds in trays or plant seedlings from your garden centre. 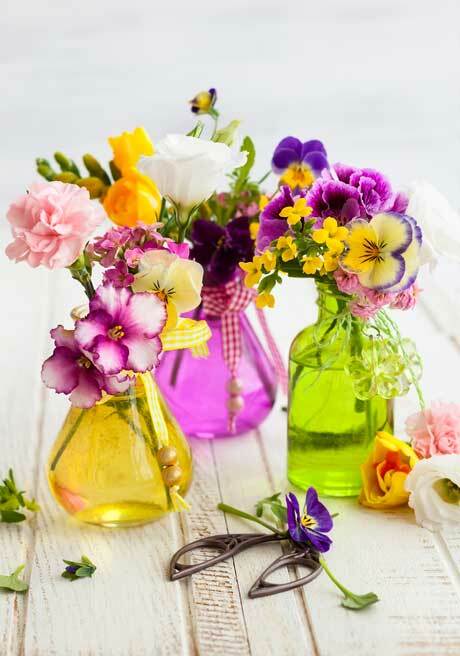 This would take all of two minutes to arrange – one minute 45 seconds to go outside to pick the pansies and 15 seconds to plonk them in a vase. 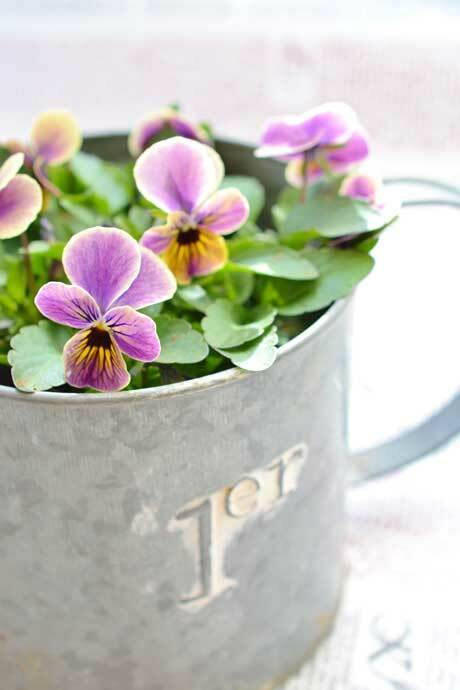 The rustic enamel jug suits the old-fashioned look of pansies perfectly, or you could use an old silver teapot or sugar bowl for a similar effect. 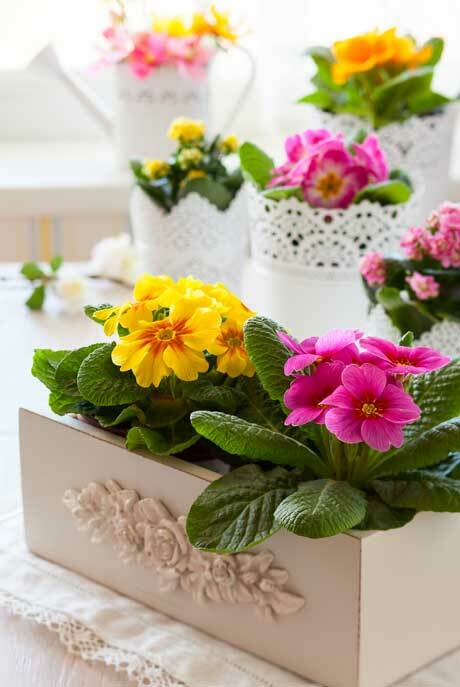 Once again, primulas would look good here too, as would violets and snowdrops and snowflakes. Lovely.